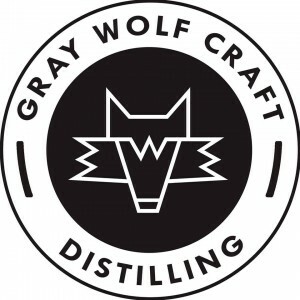 Gray Wolf Craft Distilling was founded in 2016 by husband and wife, R.B. Wolfensberger and Meghan Brown. We are a boutique Maryland distillery dedicated to handcrafting spirits using premium, intentionally selected, raw ingredients. Our aim is to champion true craft and transparency while creating an exceptional portfolio of libations. We are a distillery within a distillery. After encountering numerous obstacles attempting to locate a site for our own distilled spirits plant, we were invited to launch our brand from Lyon Distilling Company. Lyon is Maryland’s premier craft distillery located on the Eastern Shore in Saint Michaels. Sharing similar notions about what it means to be “small batch” or “craft,” this unique collaboration has emboldened both distillery team’s creative passion. Gray Wolf Craft Distilling is committed to making distinct spirits, from scratch. We regard integrity and authenticity as integral to our craft. It is our belief that a distilling craftsman, earnest to every detail of the process, will produce a spirit that reflects his passion.